Cut out the Sky and cable middle man? YouView chairman Kip Meek believes that the major US television and film studios should get involved in the IPTV project, and not just consider the likes of Sky and Virgin Media for their content. Meeks, speaking at a Broadcast Journalist Guild event, expressed his hope that content providers would view the platform as an opportunity to cut out the middle man. Currently companies like Sky pay huge fees for the US content – often getting embroiled in bidding wars for high-profile television series or films. 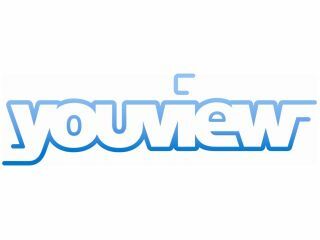 Meek believes that the content providers can make money by creating their own channels or VOD areas on YouView for consumers. "We would like to get as many of the international and US content creators involved as we can, but also we want independent producers," said Meek. "...If you are a US studio, currently you are distributing via Sky or cable. We would like to open up the opportunity for them to affiliate and provide an IP channel and, or an on-demand library. "They will have to renegotiate the windows and think about whether it's in conflict with whatever their rights deal is with Sky or Virgin. "If this becomes very successful then it will become very important for Hollywood studios to participate." Meek believes that the studios would be stupid not to at least consider this more direct route to televisions. "Why would they exclude the possibility of this route to marketplace for their content?" he asked. "They have to work it out for themselves, but we have to explain it to them, such that they understand what the economics are. "We would hope that they would find the economics compelling."